There is no uniform international approach to the regulation of Bitcoin and its legality will depend on where in the world that you reside. However, as authorities increasingly research how to incorporate and identify this new monetary system into their existing financial system, it is probable that there will be at least some regulations implemented over the sector in order to protect customers as well as to clamp down on criminal activity. The massive increase of the value of Bitcoin in 2017 has meant that the regulation of the sector has become increasingly urgent, with many global regulators announcing their intended approach to the regulation of Bitcoin regulation in recent months. However, while the legality of Bitcoin has yet to be fully decided in many jurisdictions, there are more immediate questions that need to be answered, including how to regulate individuals who are dealing with or trading Bitcoin and whether it is being used to break the law. 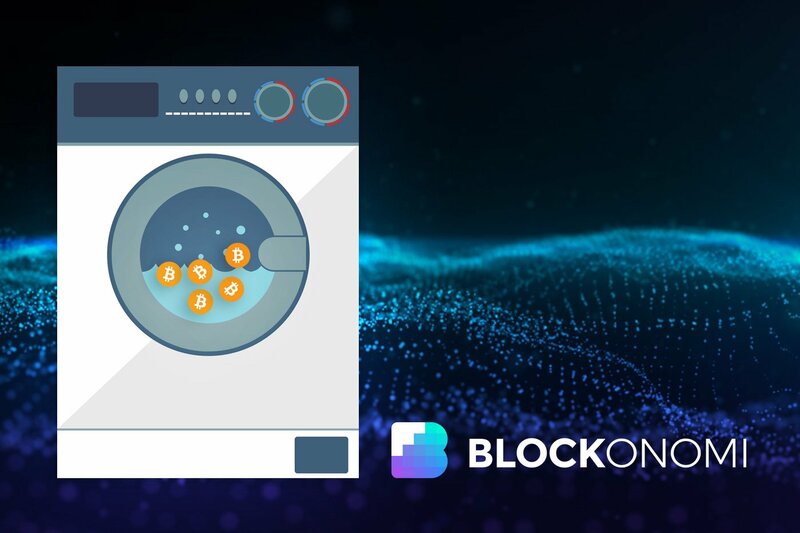 The semi-anonymous and decentralized nature of many cryptocurrencies has meant that authorities fear that certain platforms could be used for money laundering. For example, as early as April 2012 the FBI indicated that the lack of regulation could mean that Bitcoin could be used for illegal activities by criminals, especially when offshore exchanges were available. There are also concerns from authorities that cryptocurrencies could be used for criminal activity online. Not long after its inception, Bitcoin gained the attention of the US and international authorities as a result of its popularity among traders on the Dark Web, an area of the internet that was rife with illegal trade in items ranging from weaponry to illegal drugs. For example, the infamous Silk Road marketplace only accepted Bitcoin on its site in order to ensure anonymity for its customers. The infamy of the Silk Road, and the subsequent closing down of the marketplace by the FBI, to US Senator Charles Schumer explicitly referring to Bitcoin as a “surrogate currency” that enabled criminal activities. As a result of these risks, many governments are putting in place systems to ensure that Anti-Money Laundering (AML) and Know Your Customer (KYC) regulations are in place to identify individuals carrying out Bitcoin transactions. These regulations are often aimed at exchanges or financial institutions that facilitate Bitcoin transactions. AML regulations are enacted to prevent the conversion of money obtained from illegal activities into legitimate assets. KYC regulations are intended to ensure that financial institutions are aware of the identities of their customers to ensure that unauthorized individuals (such as minors or criminals) don’t have access to certain services. The Financial Crimes Enforcement Network (FinCEN), an agency within the US Treasury Department, published guidelines about Bitcoin as early as 2013 which suggested that although using Bitcoin for purchasing legal goods and services was not illegal, the mining or trading of Bitcoin as well as the operation of exchanges on which Bitcoin is traded would fall under the label of “money service businesses” and would therefore be subject to the same Anti-Money Laundering (AML) and Know Your Client (KYC) measures as other financial institutions. FinCEN also took an action against Ripple in 2013 (which was later settled), arguing that Ripple had failed to implement an effective AML program and failed to report suspicious activity relating to financial transactions on their system, therefore implying that cryptocurrency operators are subject to the Money Service Business (MSB) regulations. However, it should be noted that Ripple operates on a more centralized platform than Bitcoin and many other cryptocurrencies and therefore it is extremely unlikely that an ‘operator’ of Bitcoin could be identified and made subject to the MSB regulations. FinCEN’s powers also extend beyond the territorial USA, with it also taking an action again the Russian-domiciled BTC-e exchange for a breach of US AML laws, which was the first action taken against a non-US based exchange. The European Union has also recently taken steps to ensure that exchanges fall under KYC and AML requirements, with the European Commission adopting proposals that ensure that cryptocurrency exchanges and wallet providers would fall within the EU’s anti-money laundering framework, effective from July 2017. However, these requirements are only applicable to such exchanges that allow for exchange between cryptocurrency and fiat currency, which effectively would exclude many of the most popular exchanges operating today. The provisions also only apply to cryptocurrency wallet providers that offer custodial services of private keys. These provisions require exchanges and wallet providers to carry out KYC and AML checks on customers and any beneficial owners, requiring them to collect, process and record personal data and to share the same with public authorities. In January 2018, South Korea announced a system intended to ban the use of anonymous accounts in cryptocurrency transactions. Until now, Korean banks have allowed customers to trade through virtual accounts issued by Korean banks. However, as a result of an opinion from South Korean authorities that such bank accounts. The government also announced that banks would have additional AML obligations in respect of cryptocurrency exchanges, including reporting any suspicious transactions relating to cryptocurrency exchanges. As exchanges are the primary entry points by which cryptocurrency traders and customers interact with blockchain, the regulation of these are considered to be of paramount importance. As a result, many jurisdictions are focusing on the regulation of exchanges and thereby ensuring that they are required to apply KYC regulations to its customers at the point of registration or time of transaction. This includes a requirement to have verified accounts or an upper limit to which accounts may remain unverified. In terms of AML regulations, the successful application of the regulations on cryptocurrency exchanges is dependent on the exchanges being required to report suspicious transactions to the financial authorities. Below, this section will consider the approach in the US, Europe and Asia. The US Commodity Futures Trading Commission (CFTC) has designated Bitcoin to be a commodity, and although the CFTC does not regulate Bitcoin directly, it does have authority in respect of commodity futures that are directly connected to Bitcoin. For example, the CFTC recently accepted a proposal by the Chicago Mercantile Exchange to allow Bitcoin and other cryptocurrency to be cleared in the same manner as other products, which could have a major effect on the value of Bitcoin. As noted earlier, the trading of Bitcoin would fall under the label of “Money Services Businesses” according to FinCEN. At a State level there have been various approaches taken by individual States, particularly in relation to the regulation of exchanges or other money transmitters. Some States, such as New York, have made attempts to make specific licensing regimes that are applicable to cryptocurrency exchanges whereas other states, such as Texas, continue to apply existing financial laws and regulations to the use of cryptocurrencies. However, the effect of this licence in New York was considered by some to be a stifling of the fintech industry’s use of cryptocurrency in that State. The European Central Bank has classified Bitcoin as a ‘convertible decentralized virtual currency’. The European Banking Authority (EBA) has advised European banks not to trade in any cryptocurrencies until a regulatory regime was put in place. In 2016, the European Parliament agreed to set up a taskforce to monitor cryptocurrencies with a view to combating money laundering and terrorism. The European Commission has further proposed that cryptocurrency exchanges and digital wallets would be subject to regulation in order to prevent tax evasion. Although the MAS does not regulate cryptocurrencies themselves, it does restrict the activities that surround them, such as exchanges. Shanmugaratnam explained that MAS, which functions both as Singapore’s central bank and financial regulating body, lacks the authority to impose rules on cryptocurrencies themselves. It can, however, restrict “the activities that surround them if those activities fall within our more general ambit as financial regulator.” In addition to money laundering and funding terrorism, these activities also include holding token offerings that issue coins doubling as securities. In the case of such an offering, he elaborated, “The requirements of having to register a prospectus, obtain intermediary or exchange operator licences, will apply,” as will “rules on anti-money laundering and countering terrorism financing.” He pledged that MAS would continue to examine the need for “more targeted legislation” on token offerings in addition to the securities laws that are already on the books. The South Korean regulators have been actively investigating a number of exchanges in recent months, especially after the high-profile hackings and subsequent closure of the Youbit exchange. ensure that customers’ funds must be kept separately. provide users with thorough explanations of investment risks. establish an adequate anti-money laundering system. have an asset protection system such as dispersion of cryptographic keys. increase transparency by disclosing transaction details to the public. In addition, South Korea has also limited the rights of financial institutions to offer virtual, anonymous bank accounts as well as placing the responsibility on exchanges to report any large cryptocurrency transactions. The new regulations also restrict non-nationals and minors from making any cryptocurrency transactions. This article has illustrated that there are various approaches and opinions being taken across the globe in respect of the regulation of Bitcoin and other cryptocurrencies. For some, the regulation of cryptocurrency would add legitimacy to the industry. However, for other jurisdictions, the regulation of Bitcoin is low on the legislative priority list as it is not considered to be a pressing issue, with there also being some uncertainty among regulators of how to regulate the sector. Fitting the cryptocurrency industry into the existing structures is likely to stifle the industry. However, to create a new regulatory and tax structure purely for cryptocurrency might result in significant expense on the taxpayer. The cryptocurrency industry itself is opposed to large scale regulation that would negatively affect the decentralized nature of the industry and would undermine the philosophy of the technology. The year 2017 has seen cryptocurrencies break away from being a niche industry used by the tech industry to become something far more mainstream. This breakout has resulted in Bitcoin becoming a buzzword in the office and in the home. As a result, it has become almost inevitable that regulation in some form or another is on the way. However, the big questions that remain are what form will such regulations take and what effect will they have on the industry. Although there is some merit to the argument that large scale regulation could negatively affect the decentralization of cryptocurrency, it is suggested that some regulation is necessary in order to legitimize the technology and the market. Taking steps such as enforcing KYC / AML standards have dual purposes: to protect the State, but also to protect the individual and ensure that companies are taking their duties to their customers / investors seriously. The regulation of exchanges is not the same as the regulation of cryptocurrency. However, by regulating exchanges they can be measured against a common standard that they must adhere to, which can protect customers as well as raising the standards of the industry and the ease of access to the market. The regulation of exchanges can also help to prevent market manipulation. Although there is no certainty of that market manipulation occurs on the cryptocurrency market, that does mean that there is not potential for it to occur. The cryptocurrency industry is an exciting area in which many casual investors are directly in touch with experienced traders. Without regulation, it would be relatively easy for these traders to use their experience to manipulate the market.